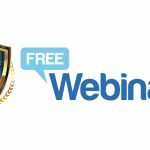 Originally recorded live on 08/17/17 this webcast illustrates how you can benefit from cloud technologies and discover what cloud-based security management solutions are available. 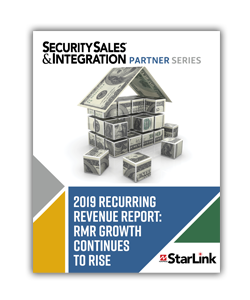 View the recording of this previously live webcast if you’re serious about wanting to generate recurring revenue without investing a lot of money up front, and we’ll show you the exact package of cloud services that SMB clients are buying right now. Originally recorded live on 03/16/17, this webcast was designed to help alarm contractors, central stations and other interested parties learn ways to proactively help limit their liability, and better protect their customers and their assets. Watch this FREE 1 hr SSI webcast, sponsored by BCDVideo and Genetec, if you’re a security integrator or end user looking for a better answer in the video surveillance systems space today. Download this FREE Webcast from September 27th from Security Sales & Integration, and sponsored by NVT Phybridge, to be introduced to proven innovations that are changing the way IP endpoints are being deployed and ways to differentiate yourself and win! Download this FREE Webcast from September 1st from SSI for an analysis of today’s commercial security landscape, as well as a walk-through of noteworthy exhibitors and sessions at this year’s ASIS Seminar and Exhibits event Sept. 12-15 in Orlando, Fla.
Watch this FREE 1 hr SSI webcast, sponsored by Pivot3 to learn how security integrators can optimize systems & develop infrastructure solutions available to help lower cost, reduce risk & protect critical security investments.